The SaaS market is heavily dominated by Salesforce, SAP, Zendesk and Zoho in India, but amidst the heavy competition, there is one company that is aiming to vault for the pole position. 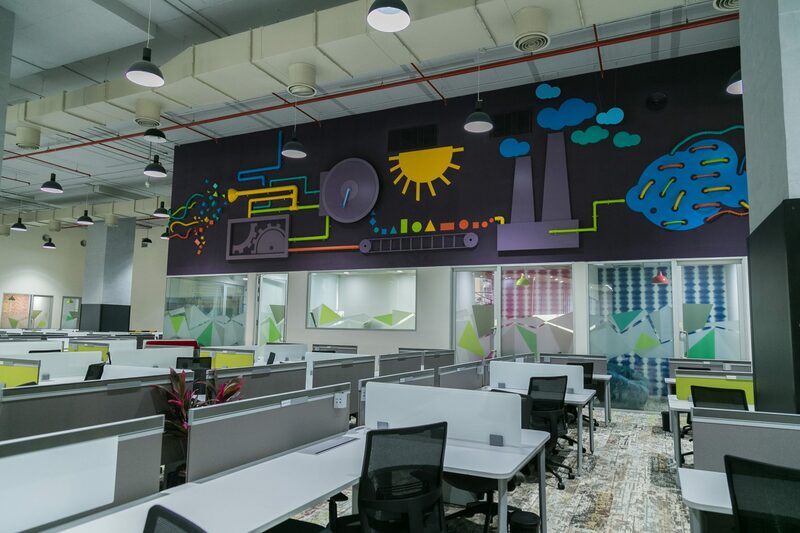 Chennai and San Bruno-headquartered company Freshworks became the third Indian startup to join the Unicorn league last year. Another high point scored by the leading provider of cloud-based customer engagement software was that it turned profitable in FY18. According to recent reports, the company posted a 30% jump in their operational revenue in 2018. 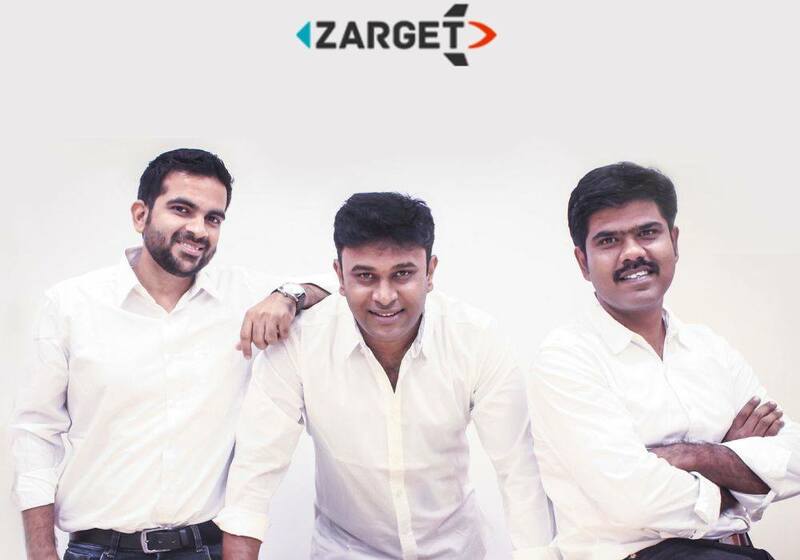 Since the nine years it has been founded, Freshworks, led by Girish Mathrubootham, has gone head-to-head with major CRM providers by positioning itself as the next-gen customer engagement platform that can meet the requirements of businesses of all sizes with business software that is “intuitive and affordable”. Also, central to their strategy is the ability to be responsive to customer’s needs and providing a 360-degree view of relevant customer information to businesses. In fact, this CRM contender has been chipping away at the dominance of Salesforce and SAP by cornering a sizable chunk of the mid-market segment. A 2018 survey commissioned by Freshworks indicated 69% SMBs wanted to replace their clunky, traditional CRM software with inexpensive user-friendly systems within the next two years. Last year, the company also took on SaaS behemoth Salesforce with their engaging “Failsforce” campaign which coincided with the annual Dreamforce 2018 conference in San Francisco. Interestingly, this is the same line that Bill McDermott-led SAP has been touting, which has shaken off the legacy of its on-premise software, expanded its portfolio of SaaS applications and is equally bullish on cloud-based CRM. With the momentum around business software growing, looks like the fastest growing enterprise giant Salesforce is now attracting massive competition. 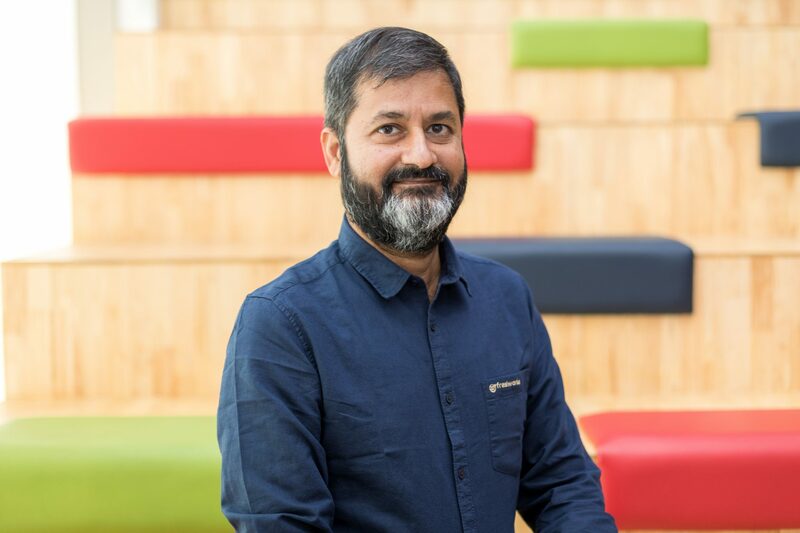 Analytics India Magazine caught up with STS Prasad, SVP of Engineering, Freshworks to understand the company’s product strategy and why it is bullish on AI to sustain its growth in the highly competitive business software market. Prasad, a tech heavyweight is well-known for scaling Walmart Labs from a team of 70 to 2000. He also founded a startup Aventeon in 2001, which was focused on enterprise mobile solutions. Since he joined the leadership team, the company has expanded its product portfolio and transformed into a multi-product company. “My vision of Freshworks was shaped in the first couple of months when I joined in August 2016. 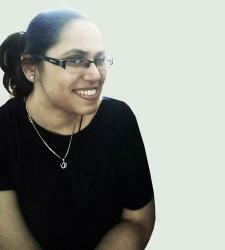 At that point, we had two products in the market – Freshdesk and Freshservice. Today, we are a multi-product company focused on strong customer engagement and seeing good traction from the mid-market segment,” he said. Prasad emphasises that Salesforce is built on a platform which is largely API-based and requires significant professional services to implement a solution for customers. “Freshworks provides a product that is out of the box, doesn’t require an implementation team and has a simple user interface which is critical to success for SMB players. That’s the core difference between Salesforce, an API-based platform and Freshworks – an out-of-the-box usable software,” he shared. Unlike their other competitor Zoho, Freshworks has no roots in on-premise software. Given that Freshworks has no on-premise history at all, the company had to build a product that could scale for a large customer base. In terms of market share, the company has a compelling vision for the SaaS CRM market and is seeing an increased appetite for CRM solutions from the SMBs and mid-size organisations. To that effect, Freshworks continues to focus on the mid-market segment where they see a huge, untapped opportunity. In line with other CRM vendors that are betting big on AI, Freshworks is also doubling down to offer broader and deeper capabilities to increase their market footprint and gain a competitive edge. “In terms of customer expectation, especially in the mid-market segment, businesses have realized that there are significant benefits to AI, especially on improving customer experience,” said Prasad. The company launched Freddy – an omnibot AI engine last year which is available across the suite of Freshworks customer engagement products. “Our approach is being able to use AI/ML capabilities within Freshworks and Freddy is a platform that serves all our products,” he said. For example, in the case of Freshdesk, it is used to respond effectively to incoming emails or chat messages and handle customer support tickets. The AI engine is constantly learning from customer interactions across sales, marketing and support and uses the customer’s knowledge base to respond to queries over chat, emails or social media. The company has two parallel technology stacks – one for platform development and the other for product development. The core platform is built on Ruby on Rails and the team also uses Ember.js as frontend technology for product development. The company has a headcount of 1800 employees currently, and a sizable percent of their workforce is deployed in engineering and product development. According to a company statement, 20% of their engineering staff works on bolstering AI/ML capabilities across the product portfolio. Presently, the company’s cloud-based applications are widely used by 150,000+ businesses across the world with marquee customers like Toshiba, Honda, NHS and Hugo Boss among others. Going ahead, the roadmap is straightforward – launching new products and being responsive to the customer’s needs. Prasad emphasises that out-of-the-box data integrations will become increasingly important, so will the need to support large customer bases. “The idea is to have the complete suite of products, serve the market segment well and also look at areas like information security, providing platform capability and better integration of our apps with third-party products,” he said, in closing. In addition to this, FreshWorks recently introduced Proximity by Freshchat that allows businesses to build better relationships with prospects and customers by combining the power of text, audio, video and social messaging. According to Mathrubootham, the CEO of Freshworks, the new set of features will empower businesses to enhance their customer-support efforts by being even closer to consumers.